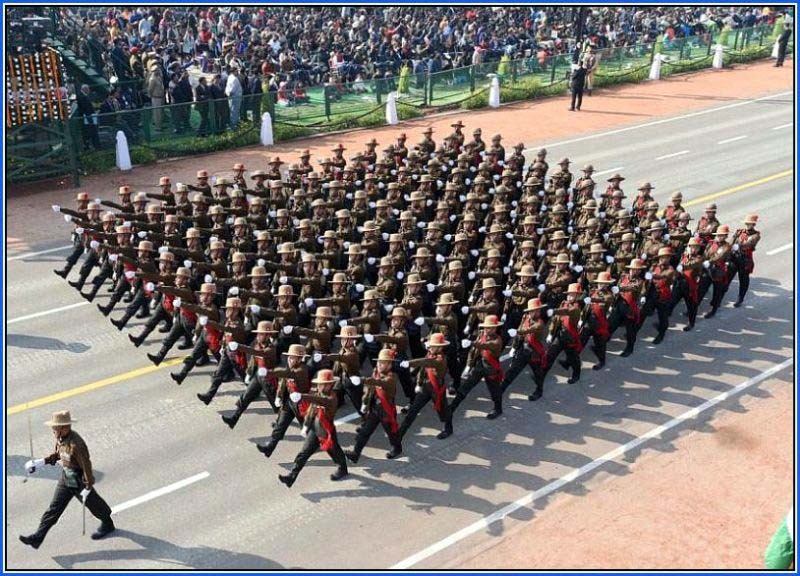 New delhi India : Gorkha Brigade was Wednesday awarded the best marching contingent trophy of the Republic Day parade, officials said. The CRPF won the best marching contingent prize among the para-military and other auxiliary forces, they said. In the category of tableaux representing Union ministries and departments, the best tableau award went jointly to the Central Industrial Security Force (CISF) and the Indian Council for Agricultural Research (ICAR). The CISF tableau was themed around securing national assets while ICAR reflected Mahatma Gandhi's thoughts on farmers of the country. The Central Public Works Department (CPWD) was given a special award for its tableau showcasing the non-violent struggle by Mahatma Gandhi. The tableau was crafted with natural flowers. A total of 22 tableaux, 16 from states and union territories and six from central government ministries and departments, were part of the cultural parade, the overall theme of which was "life and ideals" of Mahatma Gandhi. Among the states, Tripura's Republic Day tableau depicting Gandhian way of fuelling rural economy won the first prize followed by Jammu and Kashmir's tableau showcasing the state's composite culture and ethnic diversity. Punjab's tableu based on Jallianwala Bagh massacre of 1919, which evoked memories of the watershed moment in the Independence struggle was awarded the third prize, officials said. Among performances by schoolchildren, the Navy Children School, Chanakyapuri, Delhi was awarded the top prize. The selection of award winners was made by a panel of experts appointed by the defence ministry.